Front Graphic Are you in a ‘pickle?’ You wanna be? Are you in a ‘pickle?’ You wanna be? Are you an avid, rabid pickleball player? Never head of the game – but are interested in giving it a try? 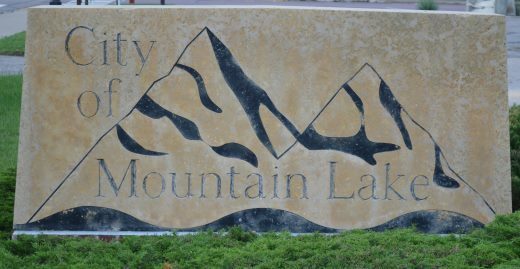 Mountain Lake Community Education and Mountain Lake Active Living Committee are joining forces to gauge who and how many are interested in the possibility of bringing pickleball to the area.. 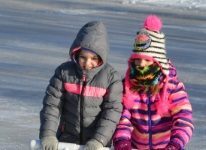 If interested, contact Mountain Lake Public School District Secretary Lois Herrig at (507) 427-2325, Extension #5 – by Friday, February 2. Leave your name, phone number and e-mail address – and state that you are calling to place your name on a list seeking additional information about possible pickleball participation. Members of the two committees will compile that information and contact those interested to share the next steps to bring this game for all ages to the community. What is pickleball? How do you play the game? Pickleball is a paddle sport that combines many elements of tennis badminton and ping-pong. It is a game for all ages and skill levels. 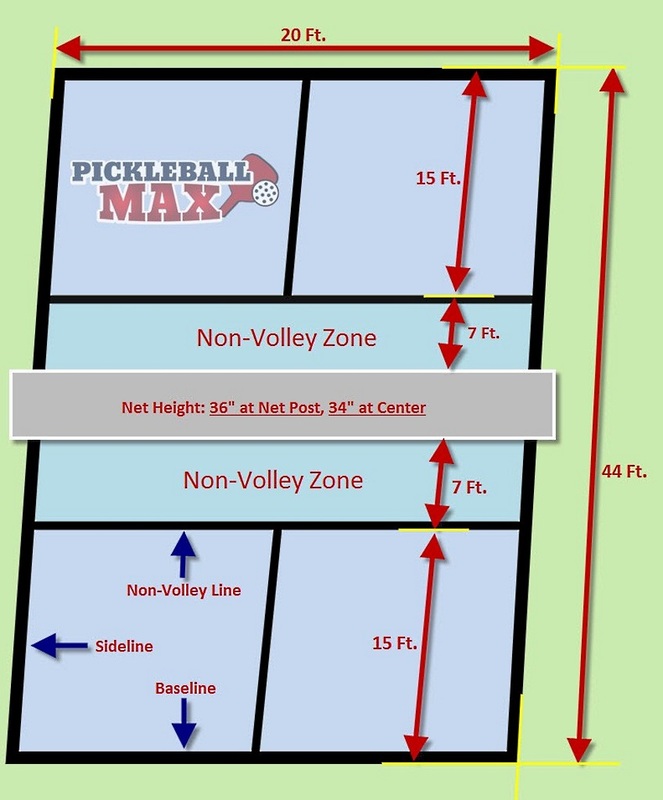 A pickleball court is the same size as a doubles badminton court and measures 20 × 44 feet. In pickleball, the same court is used for both singles and doubles play. The net height is 36 inches at the sidelines and 34 inches in the middle. The court is striped similar to a tennis court with right and left service courts and a 7-foot non-volley zone in front of the net (referred to as the “kitchen”). 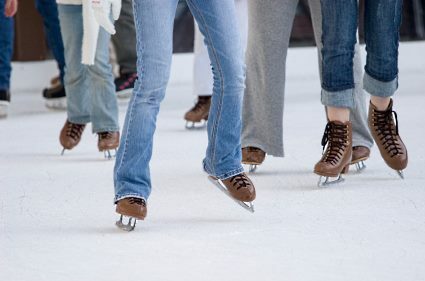 It can be played indoors or outdoors. When playing pickleball, each player needs a pickleball paddle, which is smaller than a tennis racket – but larger than a ping-pong paddle. Originally, paddles were made only from wood, however, today’s paddles have evolved dramatically and are primarily made of lightweight composite materials, including aluminum and graphite. Players will also need a net and a pickleball. The ball is unique, with holes through it like a wiffle ball. Different ball models are intended for indoor and outdoor play. Balls come in several colors, including white, yellow and green, but must be a single color to meet International Federation of Pickleball (IFP) specifications. Pickleball can be played as singles or doubles. What is the sport’s history? Pickleball was invented in 1965 on Bainbridge Island, a short ferry ride from Seattle, Washington. Three dads – Joel Pritchard, Bill Bell and Barney McCallum — whose kids were bored with their usual summertime activities — are credited for creating the game. Pickleball has evolved from original handmade equipment and simple rules into a popular sport throughout the United States and Canada. The game is growing internationally as well, with many European and Asian countries adding courts. Why the name “pickleball” – especially since no pickles are used. Still others claim both accounts may actually be true. In the early years, no official name was assigned to the game. However, a year or two after the game was invented, the Pritchards purchased a cocker spaniel and named it Pickles. As the game progressed, an official name was needed and “pickleball” was it. 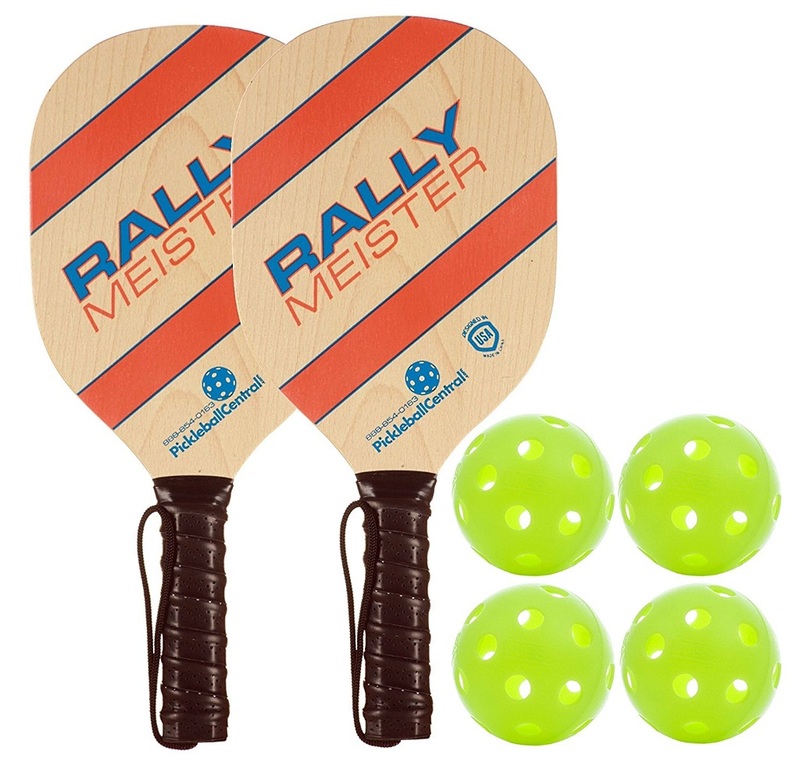 EACH PICKLEBALL PLAYER needs a pickleball paddle, which is smaller than a tennis racket – but larger than a ping-pong paddle. Originally, paddles were made only from wood, however, today’s paddles have evolved dramatically and are primarily made of lightweight composite materials, including aluminum and graphite. The ball is unique, with holes through it like a wiffle ball. Different ball models are intended for indoor and outdoor play. Balls come in several colors, including white, yellow and green, but must be a single color to meet International Federation of Pickleball (IFP) specifications.